> 2008 "America's Most Talented Animals"
Over the years AAI has represented and worked with professional trainers and animal actors that have starred in hundreds of films, including; ACE VENTURA, DR. DOLITTLE, THE PATRIOT, SPACE BUDDIES, and EVAN ALMIGHTY. The company has also provided animals for primetime TV series appearing on major networks such as NBC, ABC, CBS, HBO, Animal Planet, Discovery Channel, History Channel, TNT, TBS, and MTV. Most of our clients have worked with us for years from New York to Hollywood. Those clients include Macy's, Neiman Marcus, Ralph Lauren, Walmart, Petco and many more. We also have a long history of working with cutting-edge recording artists on their music videos. Artists that have worked with AAI include Lady Gaga, Beyonce, Jay Z, Norah Jones, Garth Brooks, Outkast, and CeeLo Green. At AAI, our motto is "any animal, anywhere, anytime." But how do YOU persuade a casting director that your pet is just perfect for the part? In addition to starring in Tinsel Town, there are roles available in commercials, television programs, commercials, and independent films where your pet can shine in local cities. You don't have to! That's where a really great animal actor agency comes it. Just as it is for their human counterparts, one of the keys to making it as an animal actor is to be registered with a reputable animal talent agency like Animal Actors. We have established relationships within the entertainment industry and we field calls from casting directors with requests for animal talent. Better yet Animal Actors in conjunction with America's Most Talented Animal are currently registering people just like you and their animals. ADDITIONAL AUDITION DATES And Locations announced soon. New York, Washington D. C.
We will be holding auditions for all animals, dogs, cats, horses, farm animals and exotics. It will work very similar to American Idol, but for Animals. Our companies need real Animal Actors to work and represent our companies. The opportunities for future work for the participants are incredible. All animals must be obedience trained and on leashes at all times. If your animal is not trained it should not attend the EVENT. Management reserves the right to ask any trainer or animal to leave the the premises for any reason. If animal is untrained or dangerous it will immediately be dismissed. All animals must have current record of shots and vaccinations All animals must be in good health or will be dismissed from location. 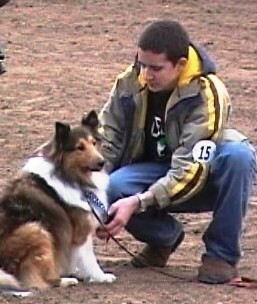 All Trainers Must be 16 are older to handle dogs in event or handle the Animal Talent, No exceptions. Note: In most cases Trainers Must be adults to work on most movies, TV, commercial or live performance jobs. All Animal Actor Trainers will be asked to sign a Release of Liability when registering. America's Most Talented Animal Actors follows all of the Rules and Regulations of the American Humane Association and United States Department of Agriculture. Animal actor talent agencies hosting open audition for area pets | Gloria Winship and Shane Ayon own Lake Elsinore-based Animal Actors, a sort of talent agency for pets. WILDOMAR ---- Calling all cute dogs, adorable cats and stately horses. And let's not leave out chatty birds, cuddly rabbits, scary snakes and creepy tarantulas. Talent agencies that represent animal actors are holding an open audition in Wildomar for local pets who might have what it takes to make it in Hollywood. The audition, open to any animal, is scheduled to run from 10 a.m to 5 p.m. Saturday at Ranch Lemus, 21745 Grand Ave., in Wildomar. Gloria Winship of Lake Elsinore-based Animal Actors, an agency that has placed animals in movies such as "Doctor Doolittle 3" and "Gordy," said a panel of judges will be inspecting the animals, checking for a friendly demeanor and taking note of any special skills. The panel is scheduled to include representatives from animal talent agencies and Richard Quest, host of a CNN International show who is scheduled to tape the proceedings for a March telecast. Winship, who runs Animal Actors with her husband, Shane Ayon, said her agency has hosted talent shows and auditions in the past but nothing that matches the scale of Saturday's event. "We could have 25 people or 500," Ayon said. "You never know what to expect." If the judges determine an animal could be used in a commercial, television show or movie, the agents will include the pet in their respective lists of animal actors that they send to producers when the agency receives a request for a particular type of animal. The panel won't be judging the animals on a particular scale or belittling any of the animals that might not be ready for a close-up. "We won't have a Simon," said Ayon, referring to the sometimes acidic "American Idol" judge, Simon Cowell. With dogs, Winship said, judges will be looking for a good-looking ---- or interesting-looking ---- animal that can follow directions. If they can't stay or sit on cue, they likely won't be good on a set. "Friendliness is probably the No. 1 priority," she said. "They will have to be handled by other people, for obvious reasons. You don't want to bite Mel Gibson." Winship said she can tell, almost from the first time she meets a dog, if it might be a good actor. "It's how they react to you. If they look away and back up, that's a no-go. But ... I always give them a chance," she said. If a dog has a set series of tricks, catching a Frisbee or jumping on cue, it's a good idea for the owners to showcase those skills during the audition. "The bigger the bag of tricks, the more jobs you can get for the animal," Ayon said, surrounded by friendly dogs in the backyard of her hillside property in the mountains west of Lake Elsinore. Cats, as cat owners can attest, are something else. With a cat, judges will be looking for an animal that can be easily handled by strangers. Winship calls them "hold cats." "Someone is always holding the cat during a shoot," she said. And then there are the "exotic" pets: tarantulas, parrots and what have you. One of the owners who preregistered their pet is bringing a coyote, which might be a good fit depending on the production, Ayon said. "The wolf in 'Dances with Wolves,' that was someone's wolf," Ayon said. If it looks as if someone's pet just can't cut it, the judges will let the owners down gently, Winship said. "We always encourage people to continue the training," she said. Those that do show some acting chops could end up in a Hollywood production. The pay isn't great for the animals ---- $200 or so for a day's work is an average take ---- but the owners get to know that's their pooch or kitty on the screen. "The reward is actually seeing their talent on film. The money is the icing on the cake," Winship said. WILDOMAR ---- They're already cute, now it is just a question of whether they might have what it takes to be a star. About 100 animals of all shapes and sizes gathered in Wildomar on Saturday to find out. More than half will probably end up getting some work in photo shoots, television or movies, said Gloria Winship, owner of Lake Elsinore-based talent agency Animal Actors. "We saw a lot of good talent out here today," Winship said as the day of animal auditions neared an end. The audition, called America's Most Talented Animal Actors, was the first of several planned across the country a la "American Idol," with finalists in each city being invited back to the final event in Hollywood. the judges Saturday was CNN International's Richard Quest, who was filming the auditions for a pet segment on his show "Quest," which will be called "Quest for Man's Best Friend." Judges and talent evaluators certainly saw a variety of animals Saturday. The overwhelming majority were dogs, but there were also some cats, some horses, an iguana, an alpaca and even a baby lamb who never strayed from the side of its owner. Some of the animals obviously had been through substantial training, while owners of others brought their pets because of that "cute factor." The animal star search was held in a large horse training pen at Ranch Lemus on Grand Avenue. Many owners demonstrated some tricks their pets could do ---- some more successfully than others. One of the dogs who seemed to impress the judges as well as other pet owners at the event was a 9-year-old Doberman mix named Boo Boo Bear. He sat unfazed by judges making noise near him in an effort to distract him as his owner, Karen Kennedy-Ross, went some distance away. Kennedy-Ross then gave Boo Boo a command to come and he rushed to her. Winship said being able to focus on commands without being distracted is important for an animal on a busy television or movie set. Boo Boo was also able to show judges a variety of personalities on command, from intensely serious to playful and happy. Kennedy-Ross and Boo Boo came all the way from Valencia, near Magic Mountain, for this, their first talent audition. But Boo Boo is already a star to many as he also is a search and rescue dog, having been involved in what Kennedy-Ross estimates at close to 20 searches nationwide. He has helped authorities find missing children and also twice found lost pets, she said. Kennedy-Ross adopted Boo Boo from a shelter when he was only two weeks old, bottle feeding him and raising him. She estimates she has spent 20 to 30 hours each week training Boo Boo since he was a pup. Boo Boo would make a great actor/dog, said Kennedy-Ross. "He loves to work and be doing things. He enjoys different challenges," she said. Another hit with judges was Elvis, a 2 1/2-year-old Australian shepherd belonging to Heather McNabb, of Murrieta. McNabb showed the judges some of the standard tricks Elvis could do, then alerted them to one more thing he could do. "He can take off my socks," she told them. She then sat in a chair and Elvis did just that. After she and Elvis were done, McNabb explained how the sock trick developed. "He used to go and fetch my slippers," she said. "Then I taught him how to take my slippers off and that just led to the socks next." Elvis is a child-loving family pet who McNabb said she has treat-trained since he was a puppy. "He retrieves the paper, even the big Sunday paper," she said proudly. "And he loves to fetch. He'd do that all day long." McNabb heard about the animal auditions and thought she'd bring Elvis for a try. "We'll just see what happens," she said. "He's just a best dog." Winship ---- who has developed and provided animal talent for 27 years ---- said that while the tricks animals can do are always good, the most important qualities for a dog on a set are the ability to sit, hold and stay on command. For cats, she said, the best skill is to be able to be held for lengthy stretches. Sitting in her trailer as Saturday's auditions wound down, Winship told a story detailing the need for a good "hold cat." She recalled how there was an actress who was supposed to hold a cat but just couldn't remember her lines. While the human continued to have trouble, the cat did just fine, calmly being held for several hours until the shoot was complete. Winship said she was pleasantly surprised by the turnout at Saturday's audition, adding that there likely would have been more had the weather been better for the outdoor event. "You typically don't make a fortune," Winship said of the pay pet owners receive once in the entertainment industry. "But nothing is more gratifying than seeing your animal, your baby, on the big screen, in a commercial or in a magazine," Winship said. For more information about upcoming auditions or Animal Actors, go to www.animal-actors.com. All talents interested in auditioning may Pre-Register by clicking here.ADDITIONAL WORKSHOP AND AUDITION DATES And Locations announced soon. Audition Registration YOU MIGHT HAVE THE NEXT PET STAR!!!! !